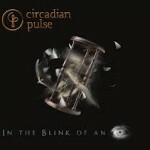 Share the post "EP Review: CIRCADIAN PULSE – In The Blink Of An Eye"
This 5 track affair is the debut release from Melbourne prog metallers Circadian Pulse. Citing Dream Theater and Symphony X as influences gives you some idea of where the band stand musically. Things kick off with ‘No Return’ which is a ten minute plus prog workout with some skilful playing whether they are in full on rock mode or taking a more laid back approach on the jazzy mid – section. ‘Hourglass’ follows with more of the same, top quality prog. The guitar work of Bzen Byanjankar and Stephen Stergaidis is impressive on all tracks and comes to the fore on the acoustic led ‘Without Love’, with a great vocal from Adrian Sofia rounding off the track perfectly. The EP then rounds off with the heaviest track, ‘ Failed By A System’, which for me was the most impressive track of the disc. All tracks though show real promise, looks as though the prog metal world has another name to look out for. 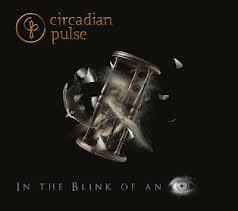 This entry was posted in ALBUM REVIEWS, All Posts, Single and EP reviews and tagged CD, Circadian Pulse, EP, In The Blink Of An Eye, Melbourne, prog metal, review, rock. Bookmark the permalink.